Measures altitude, up to 15,000 ft. and barometric pressure. Perfect for use as a navigation aid or to guide you along contour lines. Includes weather trend indicator (shows if weather is improving or worsening). 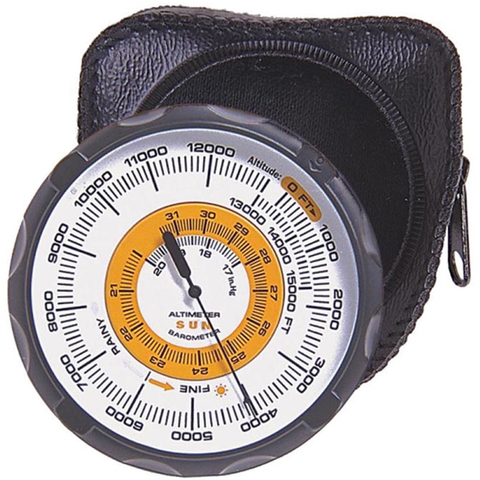 The Altimeter 202 comes with a softside carrying case and lanyard.